More than 30 people may not have been thinking on their feet when trying to conquer their fears. Instead, they were treated for burns after they were encouraged to walk across hot coals by motivational speaker Tony Robbins. Five people were taken to the hospital on Thursday night and more that two dozen others were treated at the scene for burns to their feet and lower extremities, according to Dallas Fire-Rescue spokesman Jason Evans. 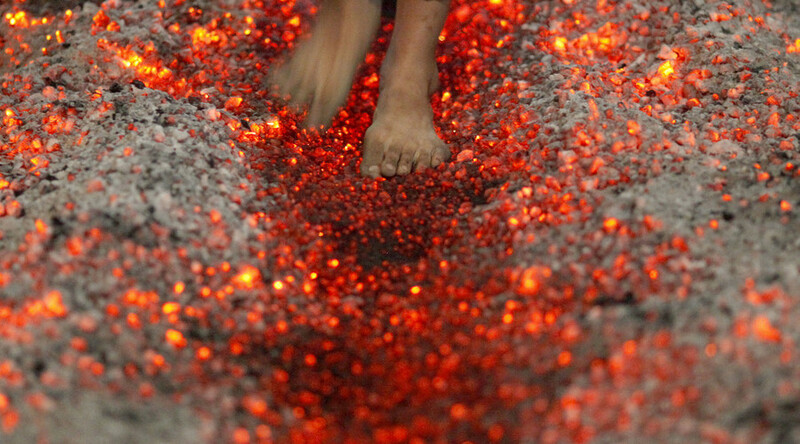 The fire walk was an exercise during Robbins’ four-day self improvement seminar called ‘Unleash the Power Within’, held at the Kay Bailey Hutchison Convention Center in Texas. This isn’t the first incident to put a damper on Robbins’ motivated spirits: In 2012, 20 people were treated for foot burns during a similar event in San Jose, California.